Dazia Hamby, 7, came into Pediatric Partners of the Southwest recently to have a sore throat checked by Dr. Heidi McMillan. Dazia is the daughter of Elvina Hamby and Alberto Quezada. McMillan says seeing pediatric patients means managing two patients – the child and the parent. Dr. Heidi McMillan talks with Elvina Hamby. Hamby’s daughter, Dazia Hamby, 7, center, was there to have a sore throat checked out. At right are Hamby’s other daughters, Anya Hamby, 2, and Kateri Hamby, 7 months. Dazia Hamby, 7, came into Pediatric Partners of the Southwest recently to have a sore throat checked out by Dr. Heidi McMillan. Dazia is the daughter of Elvina Hamby and Alberto Quezada. McMillan says seeing pediatric patients means managing two patients – the child and the parent. 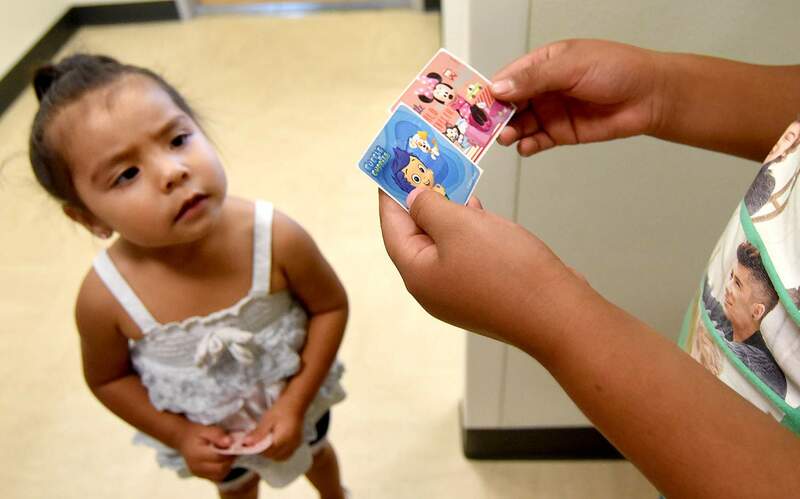 Anya Hamby, 2, and her sister, Dazia Hamby, 7, pick out stickers after a visit to Pediatric Partners of the Southwest. The two are the daughters of Elvina Hamby and Alberto Quezada. Even after a lifetime of regular checkups, for adults, visiting a doctor’s office can be fraught with anxiety, self-consciousness and irrational fear. The feeling of a cold stethoscope on your chest, a rubber band cutting off circulation to your arm, a light shining in your eye and a needle penetrating your muscle – these are not pleasant sensations. 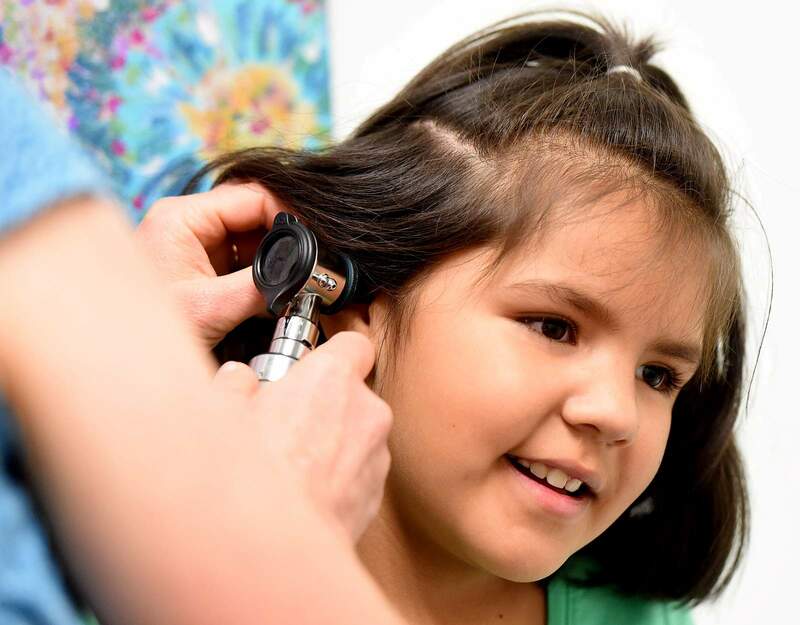 For children, such endeavors can require considerably more bravery, said Dr. Kim Caruso of Pediatric Partners of the Southwest. And for doctors, treating children can require considerably more skill. In the online article “More Magic Tricks for Pediatric Patients” for Harvard Medical School’s journal Personal Medicine, Dr. Eric Zwemer provides nervous, overwhelmed internists with a meticulous, play-by-play breakdown of various “magic-based” strategies for treating children, including one trick called, “Sleight of Hand Sanitizer,” whereby a physician tapes a coin to her hand and, eight steps later, induces a child to sanitize his hands. These tactics are nothing to the Pediatric Partners of the Southwest’s arsenal. The result is a practice that takes pride in its staying at the cutting edge of pediatric medicine while also rejoicing in all things childish. 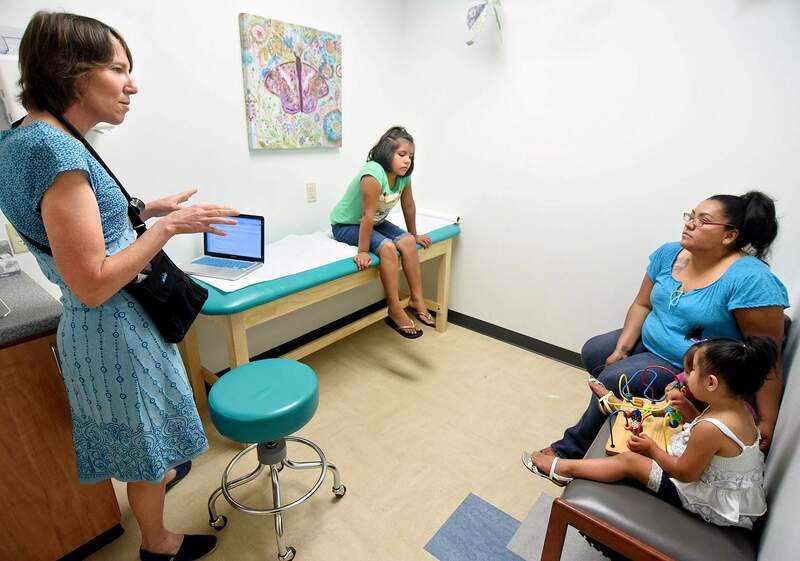 Mary Gilman, a full-time integrated behavioral health specialist at the practice, said one of the biggest recurring challenges she faces is that, for children, illness can be an alibi. Children say they can’t go to school because their tummy aches, when, actually, they’re physically dreading an older child who bullies them. Gilman is especially adept at explaining short-term cost versus long-term benefit to children. Persuading them to forebear a needle for the sake of acquiring lifelong immunity to ghastly diseases can require patience. Dr. Cecile Fraley, Caruso and Dr. Kelly Miller described techniques that appeal to childrens’ imagination and amenability to theatrics. For instance, when warts need freezing, they’ll let kids dump the liquid nitrogen on the floor. When they need to check childrens’ ears with a light, they’ll invite them to blow out the light, as if extinguishing it. “Then, I let them check my ears, too,” said Caruso. Fraley agreed that patients’ reciprocating your investigations is important, though, in her case, everyone’s ears – doctors’ and patients’ – are checked for dinosaur poop. “I like to talk about poop,” she said. These elaborate exercises in medical subterfuge are highly effective and engender a loyal following. Fraley said, “Patients come up to me in the grocery store telling me they got an A on their spelling test or that they’re not having nightmares anymore because of the nightmare spray we used. “Once a mother invited me to Disneyland, because her son said he didn’t think he could go unless Dr. Fraley comes,” she said. And practitioners’ confidence in dealing with children is useful in all kinds of medical circumstances. 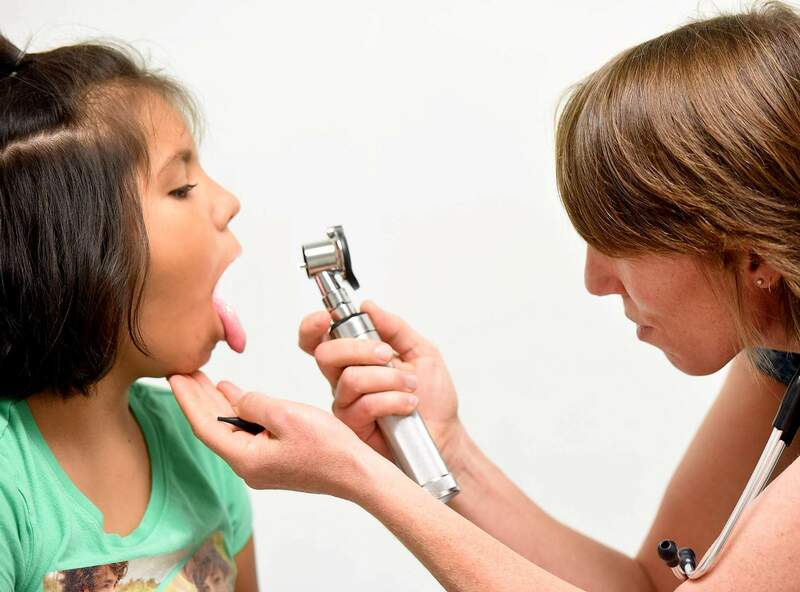 Dr. Heidi McMillan said the standing complaints are strep throat, ear infections, coughs, upper respiratory issues, constipation, influenza and gastro-intestinal issues. But children also manage to come down with exceedingly exotic ailments. Dr. Brenda Huffman said, “We’ve had the bubonic plague while I’ve been here.” They have also seen children who have fallen unconscious because of unusual viruses that affect kids more than adults. Fraley recalled extracting the stalk of steamed broccoli out of one patient’s nostril.